Rabbi Shaul Feldman is the Executive Director of Bnei Akiva of the US and Canada. He received smicha from the Chief Rabbinate of Israel and a law degree from Bar Ilan Law School. After serving as a paratrooper in the IDF, he went on to teach in the Kerem B’Yavneh overseas program, Stern College and Torah Mi’Zion Kollel. In the past six years, Rabbi Feldman built a network of Bnei Akiva Shlichim (Israeli emissaries) sent to North America, consisting of 10 families and over 20 young shlichim. He also founded the new Moshava Ba’ir day camp network that serves over 1,000 campers in several states. 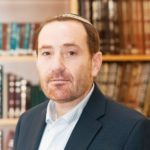 Rabbi Feldman served as the campaign manager for the Religious Zionist Party in the previous World Zionist Congress elections, Most recently, he created Yeshivat and Midreshet Torah Va’avoda, a new and innovative year in Israel program. Rabbi Feldman is a highly admired Rav both in Israel and North America and mixes a keen mind with humor and a down to earth nature. Rabbi Feldman is married to Libby and has 5 children. Bini Dachs is the Operational Director of Bnei Akiva of the US and Canada. She received Her BA in Art shaped major from Stern College for Women. Bini has been working for Bnei Akiva for the past 8 years. She has served as the national Program director, Assistant director of TVI summer program and now as the Operational Director. She grew up in Chicago and attended Moshava Wild Rose for over 15 summers. James Williams is a passionate Jewish Educator currently living in Efrat, Israel. Born and raised in Birmingham, United Kingdom, his passion for educating began early on and it has stayed with him ever since. James was involved in Snif in Birmingham as Chanich, Madriach & Rosh. James continued his involvement with Bnei Akiva working on the Mazkirut of Bnei Akiva UK and then after his aliyah worked for World Bnei Akiva overseeing British Hachshara. James and his family have completed two successful shlichuts through Bnei Akiva of the US & Canada in both Toronto and South Florida. James has also held a number of positions outside of Bnei Akiva working for UJIA Scotland, Yeshivat HaKotel, Matara Residential School, Alexander Muss High School in Israel, and Ramah Camps Israel. James studied Jewish History & Informal Education at Jews College London and continued his studies at Yeshivat HaKotel Jerusalem. James is working on finalizing his Smicha through Rabbi Shmulowitz. 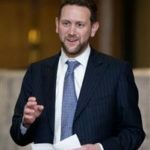 James firmly believes in the power of informal and experiential Jewish education and aims to connect people to Judaism, whilst growing their potential and becoming future Jewish role models. Ariel Shields is the Co-Mazkir Artzi of Bnei Akiva of the US and Canada. He is currently studying Business Technology Management at Ryerson University and is very involved in Israel engagement and Jewish life on campus. Ariel has been actively involved in Bnei Akiva ever since he started attending snif as a chanich. He was previously the Merakez of Bnei Akiva of Toronto, a Rosh Eidah at Moshava B’air in Toronto for 2 summers and the Rosh Moshava of Moshava Ba’ir Toronto. Ariel also attended both Moshava Ennismore and Machane Stone as a chanich. Ariel currently lives in Toronto but is counting down the days until he makes Aliyah! Michal Laub is the Co-Mazkira Artzi of Bnei Akiva of the US and Canada. Michal is a senior at Yeshiva University majoring in Sociology and Judaic Studies. 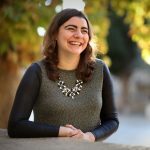 Michal’s involvement with Bnei Akiva started back in the day as a camper in Eidah Aleph at Moshava IO, where she continued as tzevet for three years. Along the way, Michal was both a chanicha and Madricha on Mach Hach Ba’Aretz, a Rosh Snif in Fairlawn, NJ, and a member of the Hanhalla Artzit. She is very excited to continue with Bnei Akiva as Mazkira Artzi! 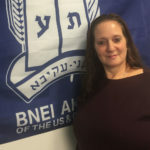 Shula Bashkin has been part of the Bnei Akiva family for eight years she holds the position of office administrator as well as the registrar for Moshava Ba’ir and Mach Hachach Baaretz. She was born and raised in Kiryat Bialik, Israel. There Shula served in the Israeli Army for two years as a Women’s Squad commander before moving to America. She currently lives in Long Island, New York with her husband and three beautiful children. Rabbi Dan Katz has been the Director of Mach Hach BaAretz since 2012. Previously, he served for ten years as part of the administrative team at Camp Moshava (IO). Dan has been an active leader in Bnei Akiva, serving in the positions of Director of Bnei Akiva of New York and Rosh TVI (Bnei Akiva’s leadership seminar). Today, he lives in Yerushalayim and teaches at Yeshivat Hakotel. 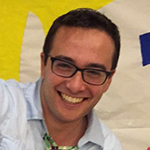 Director Shlomo Stern is a Bnei Akiva veteran and an experienced informal educator. 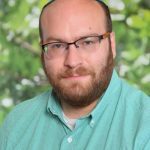 Shlomo is entering his 5th year as Director of Moshava Ba’ir NJ. 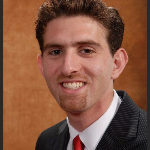 Prior to joining Moshava Ba’ir he held senior staff positions at Moshava IO in Honesdale, PA, he was also the Regional Director for Bnei Akiva of NY and NJ. Shlomo, together with his wife, Temima, and their children, spent 4 years on Shlichut in Houston, Texas coordinating Bnei Akiva activities in Houston and the Southern Region of the US. Shlomo completed his BS in Accounting at YU’s Sy Sym School of Business. Rabbi Dr. Yehuda Seif is the Rosh Yeshiva and Director of Midreshet and Yeshivat Torah V’Avodah. He studied at Yeshivat Har Etzion and received his ordination from Rav Zalman Nechemiah Goldberg. He received his BA from Columbia College, his MA in Religion and Education from Columbia’s Teacher’s College, and Israeli Teacher Certification from Herzog College, and he completed his PhD in Religious Studies at University of Pennsylvania. He served as the Jewish Learning Initiative on Campus educator at the University of Pennsylvania from 2002-2006. Michelle Kaplansky is the Administrator of Israel Programs for Bnei Akiva of the U.S. & Canada. She has been part of the Mach Hach BaAretz administration for the past 14 years, and now splits her time between that and Midreshet V’Yeshivat Torah V’Avodah (TVA). She also helps oversee other programs such as Tochnit Tzion and Tochnit Nissan. 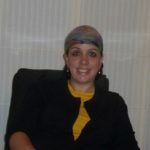 Before going on Aliyah, she served as Assistant Director of Camp Moshava Wild Rose. She’s originally from Chicago and now lives in Chashmonaim, Israel. After working for Bnei Akiva’s national office in New York for three years, Zvi is now the Director of Israel Initiatives based out of Jerusalem. 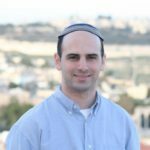 His roles include running our Shana BaAretz seminars – Tochnit Tzion and Tochnit Nissan, Jerusalem Marathon recruitment, logistics for Yeshivat Torah V’Avodah, and overseeing BAbayit Katamon. 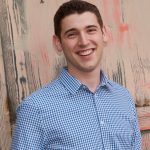 Zvi graduated from Yeshiva University’s Sy Syms School of Business with a Business Management major in 2015. Zvi has been a Tzevet member on Mach Hach BaAretz for the past five summers, and has also spent five summers at Camp Moshava Ennismore.